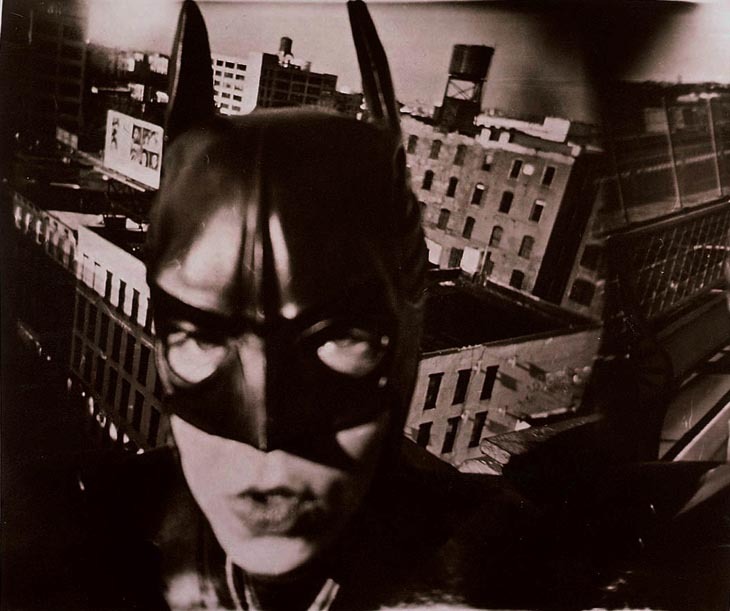 Liebmann photographed herself wearing a Batman mask against a fragmented and sometimes layered New York using a pinhole camera. The pictures provide a complex picture of the city, familiar but sometimes hard to read. The artist as superhero appears in all the pictures, sometimes in silhouette and sometimes more than once. The use of a pinhole camera means that both character and city are in focus but also means that there is an imprecision to the pictures that makes them harder to read and consequently somehow more arresting. 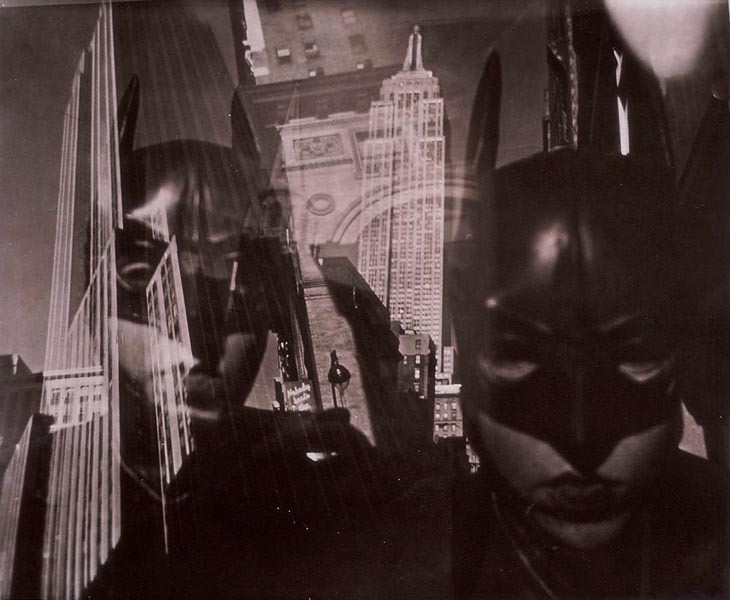 Gotham City could be read as a series of self-portraits – though the images tell us little about Liebmann – or as a series of urban landscapes – the Gotham City depicted in the work is clearly New York though the version of the city we see is confused. In the end, perhaps, Gotham City is a narrative without an actual story. We can read the series as a comic strip but with Liebmann/Batman more tourist than superhero. Gotham City amuses me and individually the images are absorbing. Though I might try to deconstruct them in search of a narrative I don’t actually need to find one; there is plenty to enjoy here regardless. 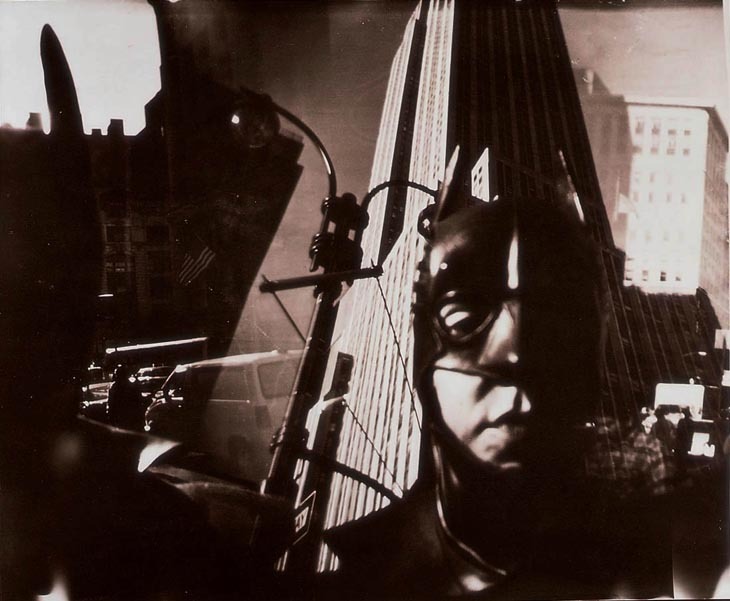 This entry was posted in Performance, Photography and tagged art, Batman, Gotham City, Katia Liebmann, landscape, masks, New York, photography, pinhole photography, urban by Ann Jones. Bookmark the permalink.